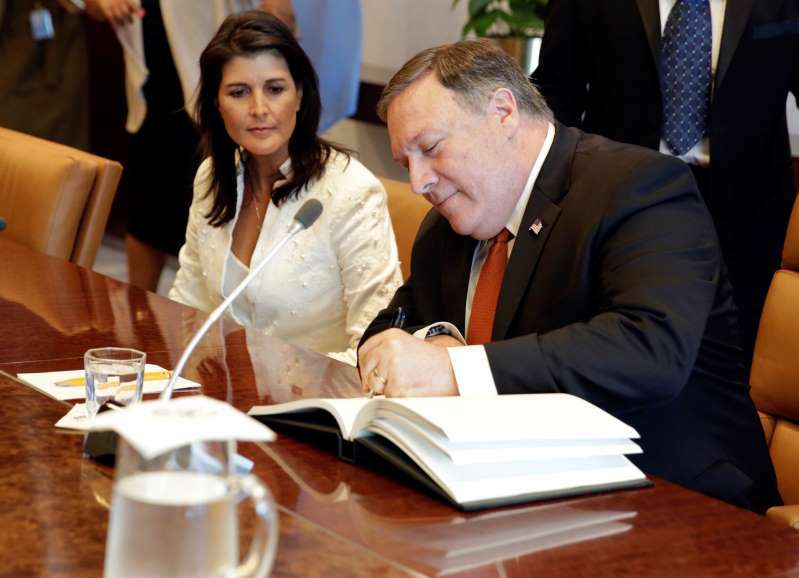 The United States on Friday welcomed the U.N. Security Council's united support for the fully verified denuclearization of North Korea and pressed China and Russia to strictly enforce U.N. sanctions to get Pyongyang to give up its nuclear weapons. [post_ads]Nonetheless, Pompeo told reporters after meeting behind closed doors with the 15 council members that President Donald Trump "remains upbeat about the prospects for denuclearization" following his historic summit in Singapore with North Korean leader Kim Jong Un. "So do I, as progress is happening," he added without elaborating.